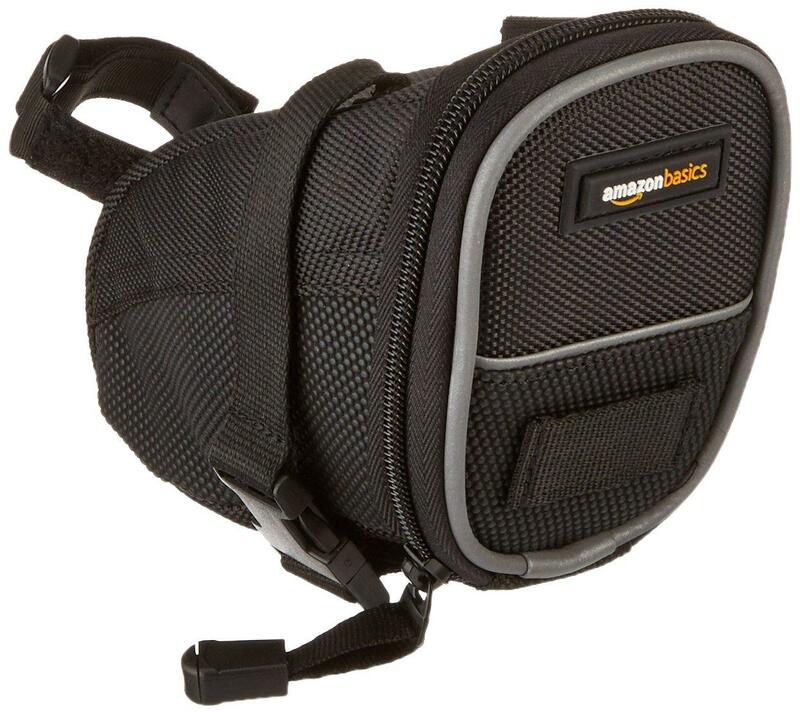 Keep your essentials close at hand with this AmazonBasics cycling strap-on wedge saddle bag. 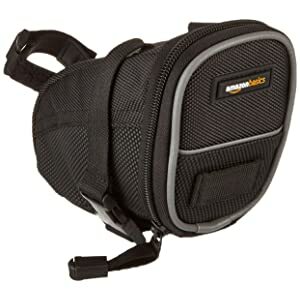 The saddle bag works well for weekend rides, evening excursions, or when commuting to work or school. Its small out-of-the-way design is the perfect solution for transporting must-have necessities. Being seen by vehicles is one of the most important components to safe road biking. The AmazonBasics wedge saddle bag provides a reflective strip across the back to promote increased visibility, especially at dusk and after dark. Below the reflective strip, the bag provides a mounting loop. 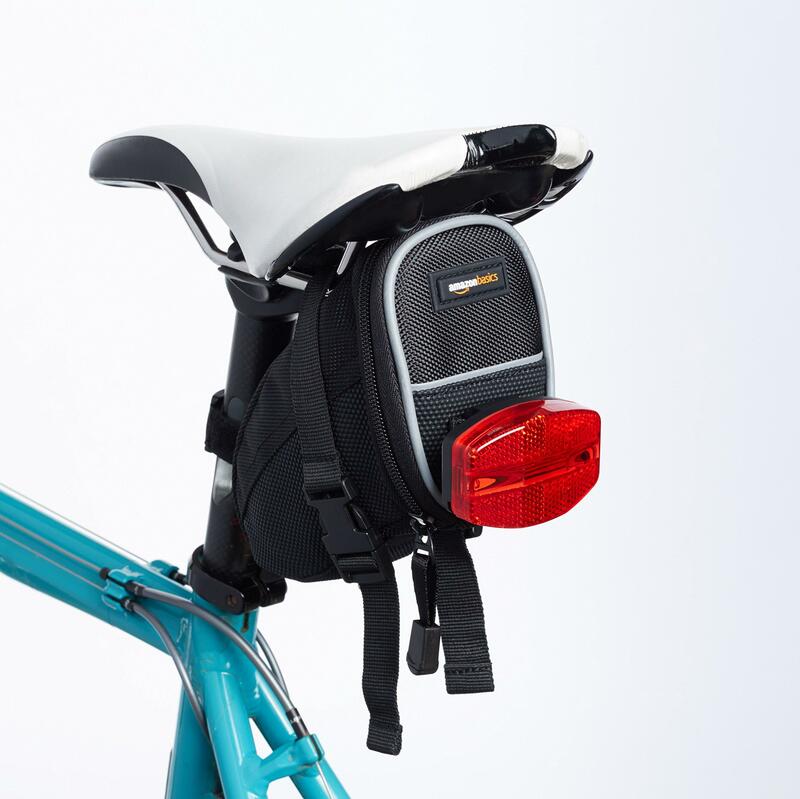 Use the loop to securely mount a rear light (not included) for enhanced safety and visibility. 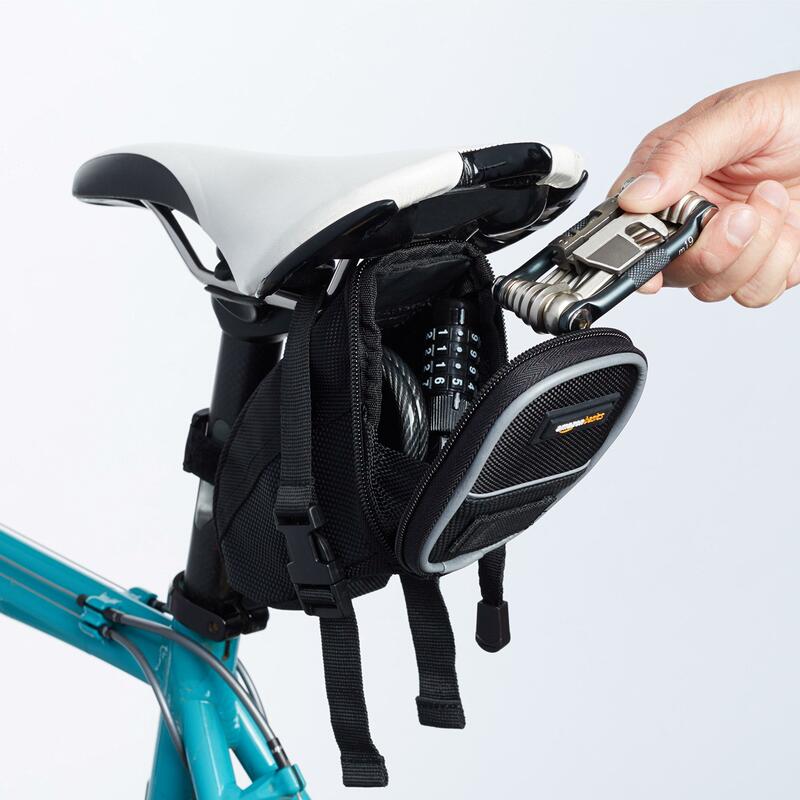 The saddle bag’s aerodynamic wedge shape secures under the seat for handy storage space that won’t slow you down. Using an adjustable Velcro strap mount and click-together buckles, the bag attaches easily to the underside of your bike’s saddle and to the seat post for secure positioning. 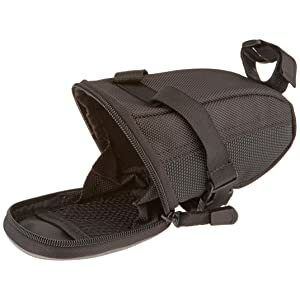 Rain or shine, the AmazonBasics cycling strap-on wedge saddle bag offers exceptional convenience. Its durable weather-resistant construction means it not only holds up over time, but it also keeps stored contents protected, even in dusty, rainy, or muddy conditions.